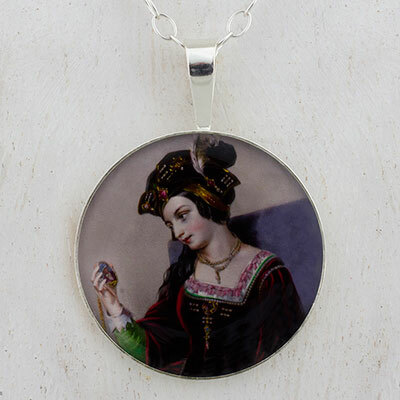 This beautiful, unique and collectible pendant features a lovely hand colored etching of Anne Boleyn gazing at Henry in her pocket mirror. What to say of all this Tudor business? A real live Shakespearean Soap Opera if there ever was one. And there were. 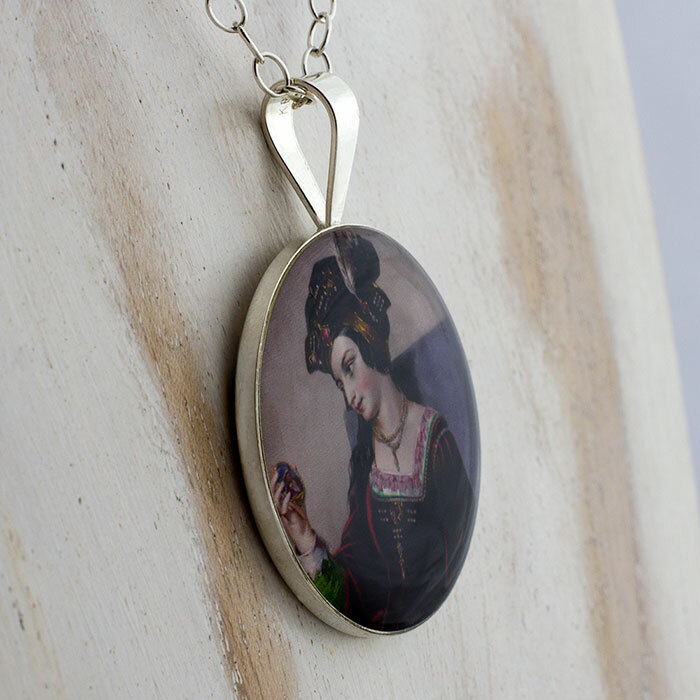 As with so many of the subjects I end up building my pieces around, my interest in the Tudor history began with books. Oftentimes I listen to audiobooks while I work on the pieces themselves, finding inspiration to create something completely original or re-imagining centuries old pieces. As with so many great stories of dynasties, the stories about the Tudors are oftentimes most interesting when they are most personal. All of the individuals in this enormous and oftentimes confounding family tree had and led such interesting lives (some of them dramatically shortened), that I have enjoyed paying a kind of tribute to their stories.